My goal from the beginning has been for XIM to be, by far, the best console input adapter anywhere. To achieve that goal required a level of technology backing the device that eclipses the competition. In continuation of this tradition, I'm proud to announce a new feature now available to all XIM3 owners: XIM Peripheral Bridge. I've always wanted XIM to support more than mice and keyboards. This is evident in the fact that it also supports excellent unique gaming peripherals such as the Logitech G13 and the Sony Move Navigation Controller. The set of gaming peripherals available to PCs is vast and the processing resources required to use some of them are high. Meaning, it's not feasible for XIM3 to support everything – although, I still want it to! This is where the Peripheral Bridge comes in. XIM Peripheral Bridge (or XIMBridge for short) turns your PC into the most powerful and flexible input peripheral possible. Imagine being able to play any game you want on your Xbox with Kinect, Nintendo Wii Remotes, Sony Move, and TrackIR head trackers. Use gaming devices such as Racing Wheels and Flight Sticks. And, enable gamers with disabilities with the wide array of Accessibility Aides on PCs. All possible through XIMBridge. The only new hardware required is the connection between the PC and XIM3: a standard, low-cost USB "Easy Transfer" cable (such as the Belkin Easy Transfer Cable for Windows or Cables Unlimited Easy Transfer Cable for Windows). Once that cable is plugged into XIM3, it'll see the PC as another type of input device (no different than a mouse, keyboard, or joystick). XIMBridge comes with an SDK to enable creative developers to easily build innovative "XIM Apps". They can be as simple as connecting high quality PC-only racing wheels to Forza, or, as complex as enabling full body motion tracking for Call of Duty or Halo. The possibilities are endless. And, every XIM App has the benefit of automatically leveraging XIM3's Smart Translator technology which greatly simplifies the problem by providing 1:1 correspondence between the application and the game's aiming system. XIMBridge requires the latest firmware located in the Downloads section. Approved XIM Apps created by community developers are located in the new XIM Apps Board. Developers can find the latest XIM SDK located in Downloads. Fellow XIM gamers, if you follow the forum, you'll know that I'm always interested in enabling new ways to game from your couch in the living room (something all controller users take for granted). XIM3 already supports wireless mice and keyboards as long as you have some sort of appropriate surface available. Typical solution is to use a lap desk, but, this can be inconvenient and overall unstable. So, I'm working to find a better way. I recently made contact with a company called Hillcrest Labs who make a product that caught my attention. They make high precision wireless pointing devices that are frequently used in applications such as set-top boxes. After discussing my idea of adapting their tech to console gaming, they were kind enough to send me some of their development kits so I could do some prototyping. I quickly got up and running with their device using XIM3's new Peripheral Bridge (of course!) and started experimenting with various input methods. Using their SDK, I was able to tap into all the tracking signals produced by the device. This data, when combined with XIM3 Smart Translator's unique ability to produce 1:1 input-to-aiming correspondence, produced such a high-quality and accurate gaming experience that I just had to share the results of progress thus far. A little over a year ago, XIM3 was released for the Xbox 360. It quickly became the precision and quality standard for console mouse and keyboard (and more) gaming. XIM community forum activity and YouTube content has achieved growth well beyond our competitors (in cases 10x greater). Even more, it's now common to see XIM3 as the comparison standard in competitor product reviews. All this for a product that has only been available for a fraction of the time of our competitors. Building on XIM3's success, I'm very proud to announce the upcoming newest member of the XIM arsenal: XIM Edge! XIM Edge is a multiplatform input adapter that, at its core, shares the same Smart Translator engine that XIM3 pioneered to provide unsurpassed precision in console shooters. A XIM Edge can be used on both Xbox 360 and PS3 – the same device – without any additional hardware or firmware updates. Simply plug your XIM Edge into either console and game. Unlike our competitors, XIM Edge (like XIM3) supports your existing wired headsets for Xbox so you can avoid purchasing a wireless one ($50 savings). XIM Edge, a dual platform device with XIM3's Smart Translator aiming precision, will be priced under $100. My gratitude goes out to the XIM community for supporting this project. From an idea that became XIM1 which comprised of some software, firmware, and do-it-yourself hardware instructions I wrote. 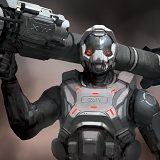 Now all the way to XIM Edge, which is built on top of an advanced custom computer vision and machine learning system for a single purpose only: to transform you into the weapon online that you are destined to be! Over time I'll be releasing more information about XIM Edge. Details such as how it's configured in and out of game, storage capacity, hardware support, as well as advanced features for the hardest core gamer. Stay tuned! My recent announcement of XIM Edge has understandably resulted in a lot of questions about what the setup and configuration experience is like. Thank you everyone for all your questions! Fellow gamers, it's hard to imagine that it has been over 6 years now since I posted about a system I created called "Xbox Input Machine"! My goal back then was to be able to play Halo with a Wiimote – which I accomplished. But, my feeling of accomplishment was short lived when I realized it wasn't straight forward to make aiming feel natural. In fact, the more I looked at it the more I wondered if it was even possible to solve at all! Game makers clearly put in a lot of aim assist to make console shooters playable using a thumb stick. Despite this, I made a video and published what I had and didn't think much more of it. Next thing I knew it showed up on Engadget, generated loads of interest, and the XIM Project was born. I had to decide on the set of principles that would drive this project. Provide the highest-precision aiming of any device of its kind: There have been many adapters of this kind over the years. Early on I knew I had to solve the aiming problem and it would be very hard. This had to be XIM's first principle – everything else was secondary. The result of that focus produced our "secret sauce" that we call Smart Translators. A sophisticated system that heavily utilizes Computer Vision for their creation, Smart Translators provide the consistent 1-to-1 aiming foundation XIM is built upon. The result of this effort has been evident – XIM is the aiming quality standard. It's common to find people comparing competitors' devices to XIM (including our competitors themselves!). Since this is so important to us and we have such significant domain expertise in the area, we do keep a close eye on our competitors and their mouse translation tech. In all cases, they continue to be at least 5 years behind us. Simple to use: This is so important for a device of this kind – especially for getting your aim to feel right. Subjecting the gamer to an endless process of adjusting "knobs" and graphs where they can never achieve the feel they want results in a very unhappy gamer. XIM solves this with its Smart Translator technology. Just one setting for your mouse is all you need for optimal aiming results in every game you play: Sensitivity. It's as simple as that. However, it's not just about the number of settings the user has to deal with, but, also how they adjust those settings. Making changes to settings should be as least disruptive to gameplay experience as possible. For example, required a wired PC connection for use at all times should be avoided. Allow the gamer to choose their hardware: Another principle of XIM is to allow the gamer to game with their existing gaming hardware. This includes use of wired headsets through the controller so that gamers don't have to spend extra money on buying wireless hardware. Take steps toward the living room: Consoles are living room experiences. XIM will take opportunities to enable mouse (and "mouse-like") gaming from the couch. This includes support for wireless hand-held devices. It will also take opportunities to enable "surface-free" mouse-like gaming. We are very interested in adapting the upcoming Steam Controller for console gaming. XIM is in a unique position with its Smart Translators to make a device like that work very well on consoles. Enable gamers with disabilities: Console developers make little to no attempt in enabling gaming for the disabled community. XIM will bridge that gap by enabling these gamers to use their PC-based accessibility aides for gaming. Some of my proudest moments on XIM have been when I receive mail from gamers with a disabilities expressing their gratitude for giving them the ability to finally game on a console with their friends. XIM has always been a device in which its features are influenced and shaped by our very large and active community. Because we greatly value that feedback, we will be opening the XIM4 Beta to all existing XIM Edge users. All major features will be available, but, the number of Configs that can be stored will be lower due to limitations of XIM Edge. Unfortunately, this beta will not be extended to XIM3 owners due to significant platform differences between XIM3 and XIM4. Sorry about that. The video showed wireless configuration using an Android device. At this stage of development, we support Android 2.3.3 (Gingerbread) and above as well as PCs with Bluetooth adapters (XIM4 will ship with a Bluetooth USB adapter in the event your PC isn't Bluetooth-capable). iOS is a target platform. XIM4 is currently running against Xbox One, Playstation 4, Xbox 360, and Playstation 3. We are planning to start the Beta over the next couple of weeks and we are currently targeting a XIM4 release of Q1 2014. As more details about XIM4 are available, I'll be posting them in this blog. I'd like to thank the XIM community and their continued support of this project. We know that without you we wouldn't have achieved the level of success we have today. For that we are very grateful. It's only been 3 months since I announced XIM4 and the response has been overwhelming! We were picked up by sites like Engadget just a day later. Soon after we released the Open XIM4 Beta which resulted in a large amount of participation. Our community forum has been on-fire with feedback, suggestions, and issue reports. In this short time the quality and polish of the XIM4 firmware and companion smart phone apps (XIM Manager) has increased significantly. Playstation 4 support was added, Xbox One audio-passthrough came online, numerous smart phone app improvements were made, many bugs were fixed big and small, and next-gen game support has been coming in fast. PC hardware makers have even started contacting us to make sure their devices (such as arcade sticks and foot-boards) are compatible with XIM4. I'm so thrilled with how far XIM4's development has come. It is easily going to be the most feature-rich, polished, and stable XIM at ship ever. Speaking of shipping, I know this is on all your minds. When I announced XIM4 I said the goal was to release it by the end of Q1 2014. In fact, XIM4's board is done, it's enclosure is done, and its firmware and software is at a quality and feature level that it could ship now. We are going much bigger with XIM4 at launch than we did XIM Edge or XIM3 (in fact, quantities larger than both of them combined). We are very focused on manufacturing, QA, packaging, and fulfillment turnaround times (international and domestic). The quantities we are talking about means manufacturing lead times are longer. It is my intention to get firm on a date as soon as possible, but, the information isn't there right now to give an ETA. Rest assured we are working as fast as efficiently as possible to get XIM4 into your hands. I encourage you to sign-up on the new XIM4 Waiting List so we can notify you of XIM4's availability as soon as it's ready. I mentioned the XIM4 enclosure and I'm proud to unveil it to you in this update. XIM's development team is small (intentionally) but everyone on the team is exceptional at what they do. XIM4's enclosure was designed by the same individual that did XIM Edge and XIM3. I gave him my high-level requirements of making the enclosure feel bold and new -- yet still look like it's part of the XIM family. I also gave him specific requirements such as being able to see the light from the sides and the addition of a physical programming/pairing button. He took this abstract vision and created something that I'm incredibly excited about. It's so fun watching things like this come to life. Please check out the renderings of XIM4 below. Another thing you will notice changing is our site. A big thanks to OMGsus who has been with us since the beginning and continues to support this project with this talents. We are lucky to have him with us. Fellow XIM gamers, the time has come! Everything is on track for release on 8/1. XIM4 is our most ambitious version to date. I'm very proud of how it turned out. A lot of care went into every aspect of it and I'm thrilled to be able to share it with all of you very soon. We plan on having a short pre-order starting on 7/28 at 3pm PST. Shipping will begin no later than 8/1 (at which time general availability announcements will go out). There is an order limit of 2 per customer. We are anticipating a large amount of orders, so, we cannot guarantee one business-day processing right after release. I wanted to take this opportunity to also thank the XIM community for their extensive Beta testing of XIM4. The performance, stability and overall quality of XIM4 is exceptional thanks to all those XIM Edge owners that participated. We are close, thank you for all your patience while we built XIM4 into something that we are extremely proud of! UPDATE: I'd like to update everyone on our status since we are past 8/1 and the store is currently closed. The pre-order was designed to give our active forum members a chance to order before XIM4's general availability and announcements. The number to XIM4's ordered was way above what we projected, so, we decided to close the store. First, to give time to complete all fulfillment. And second, to take the opportunity to gather and process the large amount of feedback that is being generated from all of you so we can apply that feedback to product before reopening the store. I don't yet have a date, but, we are working as fast as we can. Thank you so much for supporting XIM! Time flies! As we quickly approach one year since the release of XIM4, I wanted to thank this community for making XIM4 everything it is today. Your feedback and support shape every aspect of this project and for that I'm grateful. p.s. - I thought it would be fun to give you a peek into where your XIM4 comes from. Enjoy. Happy New Year everyone! I always like looking back on my blog posts to see where we started and how far we have come. The level of understanding and experience we've gathered over the years to create the ultimate console input device is astounding. That knowledge manifested itself in our most ambitious product ever: XIM4. A device to enable you, the gamer, to enjoy gaming the way that suits you best with the people you want to game with the most. XIM4 grew to a level that we hadn't anticipated and further solidified XIM's place as the standard for mouse gameplay on consoles. The question was, could we improve on what we had achieved with XIM4? Of course we could, and we did! XIM APEX in the pinnacle of console input adapters. It is the result of a decade of research, engineering, innovation and customer feedback. XIM APEX will continue XIM4's legacy of best-in-class precision mouse input on consoles. It's through our close collaboration with our large community of XIM gamers that XIM APEX's new features came to be: 1ms (1000Hz) response rate, full wireless cross console controller support, wired headset support for PS4, full analog joystick support, multi-language support, more flexibility with hardware setup and cable management, and finally price. To support all of XIM APEX's new advanced features required a significant boost of computation power. At the same time to reduce cost and increase production volume, every aspect of XIM APEX's hardware design and manufacturing process was optimized. Throughout XIM4's lifetime, we saw its demand grow well beyond our expectations. XIM4's popularity shattered every forecast we made resulting in too many "out-of-stock" notifications for our customers. XIM APEX was designed from the ground up to avoid this situation. XIM APEX is something I'm incredibly proud of and can't wait to share. XIM4 is no longer in production as we are fully focused on XIM APEX's release which scheduled for Q1 2018. Both XIM APEX and XIM4 will receive updated games support at the same time going forward. As always, I want to thank the XIM community for their constant support and feedback. This project is nothing without you and for that I'm incredibly grateful! XIM is a community-driven project. With that I'd like to thank those members of our community from all over the world that contributed their valuable time and feedback to be part of our XIM APEX Alpha Testers group. Their contribution was critical to ensure XIM APEX shipped with the level of excellence required for it to part of the XIM family. They are: antithesis, BlessUp, colb, He4DHuNt3r, mist4fun, Od1n, piiwii, RML, singlecoilpickup, tuffrabit, and W11cE. Additional thanks to Od1n for putting together the XIM APEX unveiling video (below) which features both Od1n's and He4DHuNt3r's gameplay. Enjoy! I'm very pleased to share the first packaged XIM APEX off the line. I think it turned out great and I'm looking forward to releasing it to all of you! Response to the unveiling of XIM APEX has been phenomenal. We are still on track for a Q1 2018 release. Of course, one of the most asked questions about XIM APEX is the price. As I mentioned before we worked extremely hard at optimizing every aspect of the product and manufacturing process. Through that effort we were able to hit the target price that I wanted for XIM APEX all along: $99.99 (USD). Thank you again for all your support. I've said it before and I'll say it again here: I love this community.